The depot interiors continue to progress, so here is a little update on how things look. Pictured above is the nice train exhibit set up, compliments of the Latah County Historical Society. Director Dan Crandall, a staunch supporter of the depot project, has offered us the enlarged photos and memorabilia as a gift. These would certainly look nice on our walls. Meanwhile, the walls in the freight room are being prepped for some much-needed insulation. Barb and Mike West were on hand the other day to do some of the dirty work, along with our Mr. Reliable, Bob Behal. Karen Rohn, the new HPG Vice-President, stands in front of some of some of the one-of-a-kind gift items specially made for her shop, Blackbird, which is located in the depot. The shop reflects Karen's talents and tastes, and is worth a visit. Shop hours are Wednesday through Saturday, 11 am to 3 pm. Stop by and say hi to Karen, whose shop makes our depot look very classy! Bob Behal and Jim West are two of the mainstays in finishing off the depot office, headquarters for the HPG. The desk belonged to William Deary and came from the Latah County Historical Society as a gift. This was Deary's Moscow desk, and the one he used in the depot was identical. It is a handsome piece of furniture, especially in the context of the refinished wood floors, brick walls and the historical safe in the background. The above photos will be part of a presentation in Boise when Barb showcases the depot project during the Idaho Heritage Conference, slated for September 25-27. It is a tribute to the project and volunteers that we were asked to be part of this conference. Idaho Association of Museums, one of the conference sponsors, is facilitating Barb's presentation, with Keith Petersen, Idaho State Historian, and Mary Reed, past director of Latah County Historical Society, being some of our best cheerleaders. Our loyal and proficient carpenter Bob Behal needs some helpers on Thursday August 1 at 9 am to keep momentum going on rehabbing the caboose. Fall is not far off, so this project really requires more helpers to get the X-5 ready for winter. Rumor has it that the caboose might be this year's venue for Santa during the Lighted Christmas Parade in December! The following obituary is taken from the Lewiston Tribune and mentions Nancy's history with the WI&M. Nancy Mary Swenson died suddenly Friday, July 19, 2013, at her home in Potlatch. Nancy was born Nov. 30, 1914, in Avon, Idaho, and was the oldest of nine children born to William and Maude Hawkins Kleer. Nancy was baking bread daily for the entire family while standing on a wooden box to reach the kitchen counter from the time she was about 10 years old. She continued to be a fabulous baker her entire life and was widely known for her extraordinary "Nancy Rolls" and for her amazing cinnamon rolls, made from the same recipe and which created their own delicious caramel sauce when turned out of the pan. Nancy never felt a day was well-lived unless she had tackled some difficult task and/or performed physical labor, of which washing and ironing clothes, together with canning fruit, were some of her most favorite kinds of work. No dirty job was too big or too difficult, but she would keep at it until it was done. This was a woman who even vacuumed her daughter's firewood so that it would be clean before being burned. Nancy was indefatigable; she worked her entire life, beginning when she left school in the 10th grade at Deary High School to help the family by keeping house and caring for the children of neighbors for 25 cents a day. Nancy married Harry Francis Swenson, also of Deary, Oct. 22, 1934. They were married until his death in 1970. Harry worked for the railroad, and for a while they lived in a railroad box car that was outfitted as a kitchen and eating area with a bed in the back so that she could cook for and feed the section crew while Harry and coworkers were building bridges for the Washington, Idaho & Montana Railway. Later, Harry and Nancy moved full time to Potlatch, where she raised chickens to eat and sell from the garage on Pine Street and later in the chicken coops that were part of the property on Maple Street, where she continued to live until her death. She could slaughter, pluck and dress a chicken in a matter of a few minutes. She split her own firewood until she was 96. Nancy worked outside the home too, first caring for a longtime next-door neighbor and then for the John and Florence Trueman family by keeping house and caring for their children, Jay, Meg and Mike - all of whom she felt were like her own. She later went to work in the stores owned by the Truemans, first in Onaway and then in Potlatch. After her husband's death she enjoyed traveling, including a cruise to Alaska, going to Idaho, Hawaii and Montana, driving to Oregon to see her sisters and visiting her daughter in California and Seattle many times. She also traveled to visit John and Florence Trueman in Arizona and Mexico. After her first "retirement" she went back to work twice, once at the hardware store, then in Potlatch, where she loved that she learned about all kinds of tools, about mixing paint and practical do-it-yourself skills. She was an avid reader and also made beautiful afghans and rugs. Nancy was a longtime active member of the Mistletoe Rebekah Lodge in Potlatch until it dissolved, and for many, many years she was a volunteer at the senior center in Potlatch, where she set tables and collected the donations, among other tasks. Nancy had a zest for life, treasuring every day, and she was always positive and looking for the best in things and people. She had great friends and was a great friend to others. One example is that one of her friends, Meg Trueman Ballard, retired from her job in Billings, Mont., in June so that she could move to Potlatch to care for Nancy so that Nancy could continue to live in her own home rather than move to Seattle to live with her daughter or to go to a nursing home. Meg and she had several wonderful weeks together before her death, and there are no words to express what a wonderful gift those weeks were for Nancy. 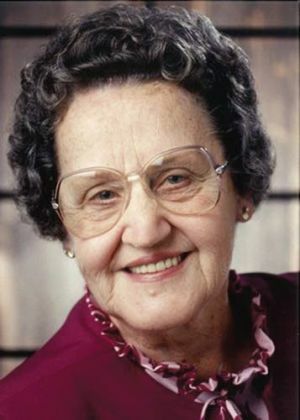 Nancy was preceded in death by her husband and parents; by her brothers, Kenneth Kleer, Clifford Kleer and Herbert Kleer; and by her sisters, Alma Prickett and Donna Kleer. She is survived by her daughter, Sharon Swenson Howard and her husband Chris Matson of Seattle; by her Trueman "children"; and by her sisters, Irma Lunsford of Avon, Idaho, Dixie Graham of The Dalles, Ore., and Nina Sandquist of Salem, Ore.; as well as by nine nieces and nephews and many good and special friends. Those friends include those who so generously supported her over the past few years, allowing her to live alone so well and for whom special thanks are hereby extended, among others, to Elaine Johnson and Norman and Diana Johnson, to Sharon Largent Montgomery and to Randy and Gayle Bryngelson. In accordance with Nancy's wishes, there will be no services held. The family suggests memorials be made to the city of Potlatch Senior Center. Another Successful Speeder Event for the HPG! Perfect weather, great use of the new platform, and an experienced group of volunteers made the latest speeder event one of the best ever! There was good music on the Bennett Boxcar Stage, a model railroad in the freight room, and an enthusiastic group of riders on the loading dock all day, as HPG President Kenny Cada, Dave Cada, new HPG Secretary Pam Buckley and Elaine Johnson kept the "Depot Dawgs" selling at a steady clip. What a nice day to enjoy the depot, the music and the good company, not to mention a speeder ride to either Kennedy Ford or Princeton! It is impossible to credit all the volunteers who made it happen: people such as Roger Farrell and Hal Vandevord who come back each year to manage passengers and speeder loading; Bob Behal, and Mike and Barb West who assist Jim West in prep and setup; Don Somers, the experienced event manager who is now retiring; Kenny Cada and US Bank employees, who manage pre-sale tickets; Brian Magelky and son Aaron, stalwarts in the flagging brigade; board member Dave Zuhn, who travels all the way to Potlatch from his home in Minnesota; and the list goes on! Thanks too to Mayor Dave Brown and wife Grace who stayed the whole day (credit Dave with helping out on the Depot Project all along, and City Councilman Dave Cada also contributing lots of time and support!). Karen Rohn, the new HPG Vice-President, said sales in her depot shop, Blackbird, were solid all day, proving that the depot has a solid place in Potlatch's downtown. Local singer Laurie Heustis kicked off the music in the boxcar (pictured above). Several other area musicians also performed, including headliner Wanigan, the ever-popular Junior Jammers, and HPG founder Jim West's group, the Two Dollar Bills, featuring Bill Tenney, Rebecca West, Jim West, and Paul Anders (pictured below). Jon Wight added his mellow voice to the mix as the final act of the day (Jon played despite nursing a set of sore ribs after taking a fall). The F-9 locomotive was showcased as an added attraction with all sort of kids, young and old, scrambling aboard to pretend they were at the throttle. Judy Meyer, 1st District Trustee for the Idaho State Historical Society, came to ride a speeder with husband Steve (pictured in the F-9 cab below). Based in Coeur d'Alene, Judy has been a steady supporter of the Depot Project. Managing the ticket sales were the now retired HPG Treasurer Don Somers, and the new HPG Treasurer, Barb West (pictured below). Meanwhile, in the freight room, the Lewiston model railroad group kept people entertained with the club's traveling model railroad layout, and the Latah County Historical Society contributed the nice WI&M Railway exhibit. Next door, the Potlatch Historical Society showed off its new museum quarters in the basement of City Hall. A steady stream of visitors came through, with Coeur d'Alene visitors Laurie and Karen commenting that they never knew about Potlatch and found it a great little place to visit! The little caboose was a work in progress, with visitors gaining an understanding of what it takes to restore a vintage car. The X-5 worked for both the BNP and the WI&M in its day. Potlatch enjoyed another successful visit from the speeders, thanks to their generosity and the work of countless volunteers. Thanks, everyone, for a fun day! Due to several circumstances, the speeders did not show up last year, so it makes it even more important to get the word out that "They're Back!!!" The tradition continues at the Historic Potlatch Depot as the speeders roll into town July 13, with rides departing at 8 am sharp. As in years past, tickets for either the Princeton route, or the Kennedy Ford route can be purchased ahead of time at US Bank, but be advised, they will sell out fast because speeders are limited to 10 cars this time around. Rides for adults are $20, and kids 12 and under are $15, with rides going out until 4:15. If you haven't ridden the rails in a speeder, you have been missing something for the bucket list!